Clearcode and Piwik PRO have recently come to the aid of a group of some very talented and enthusiastic students from the local Wrocław University of Technology. The group is known as Space is More and they needed help in raising money so that they could travel to The United States of America to present their Mars Inspiration project to the NASA judging panel. Who is Space is More? Space is More is comprised of 8 extremely intelligent and highly motivated individuals from different educational backgrounds. They combined their talents, education and experience to create a team so that they could enter a worldwide competition. The Inspiration Mars contest is led by The Mars Society. 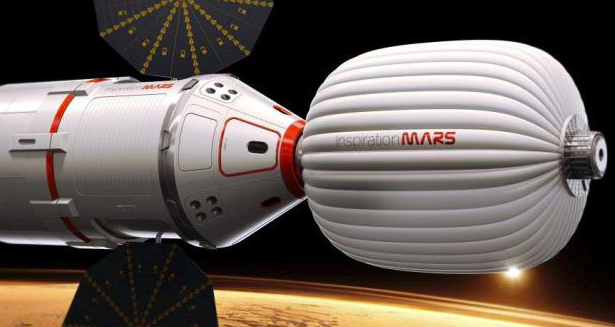 It is based on the proposed 2018 manned mission towards Mars by Inspiration Mars, a non-profit organisation founded by space tourist and multi-millionaire, Dennis Tito. The worldwide competition required a team of students to come up with a design of a Mars flyby mission for 2 people for the 2018 mission. Each team had to produce a 50-page design report that focused on the various areas of the mission, including the design of the spaceship, the crew selection process, the on-board living areas, the crew’s ongoing mental and physical health while in space, plus all the usual space related issues like radiation and weightlessness. The judges received reports from 38 teams representing 56 universities from 15 countries (which included 3 teams from Poland). The Space is More team was successfully chosen as one of the 10 finalists in the competition. As you can imagine, they were ecstatic with the result. However, they soon realised that without financial help and support, they wouldn’t be able to make it to the finals, which are due to be held in Houston, America, at the NASA Ames Research Center on the 9th of August 2014 . Despite the large costs associated with travelling to America for the finals, the team was still determined to try their best at securing donations and sponsorship for their overseas trip. The guys at Clearcode and Piwik PRO came across their story by chance while it was in the very early stages of the fund gathering process and knew straight away that this cause was worth supporting. We then called the Space is More team and arranged a meeting to find out how we could help them get to America so that they could present their report and represent Poland. The meeting took place the following day and was a complete success. We decided to help the Space is More team by providing them with some much needed financial assistance. In the days following our meeting, the Space is More team received a lot of local and national media attention which has resulted in more and more individuals and companies coming forward and offering financial support. The Polish web community has also been responsible for providing a lot of the financial assistance through the group’s Polish crowdfunding site, www.polakpotrafi.pl/projekt/space-is-more. We would like to wish the Space is More team all the luck in the Universe as they present their project to the NASA panel of judges. Our fingers are crossed!